Los Angeles, CA. There are few better ways to end an enjoyable day than a nice home-cooked meal from a warm and friendly kitchen. With its simple decor, efficient wait staff, and a straight-forward menu, it plays host to a careful blend of traditional Brazilian flavors from the owner’s very own childhood. Dishes are made from locally grown ingredients, selected by the restaurant staff and owner herself. 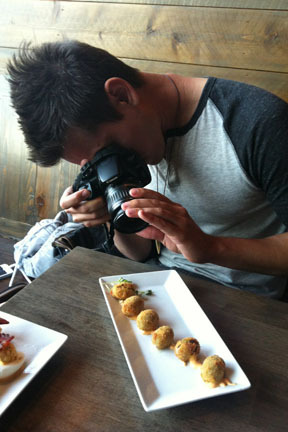 The unique approach to fresh is taken one step beyond just the ingredients, as each item is prepared on the order to maintain the freshest and most delicious of tastes. After taking our seats along the street-facing window, a waiter brought over a carafe filled with ice cold water. Following in the tradition of her mother, the restaurant’s owner infuses water with spices or fruit (like cinnamon, cucumber, mint, mango) to add an extra quality to a rather flavorless beverage. 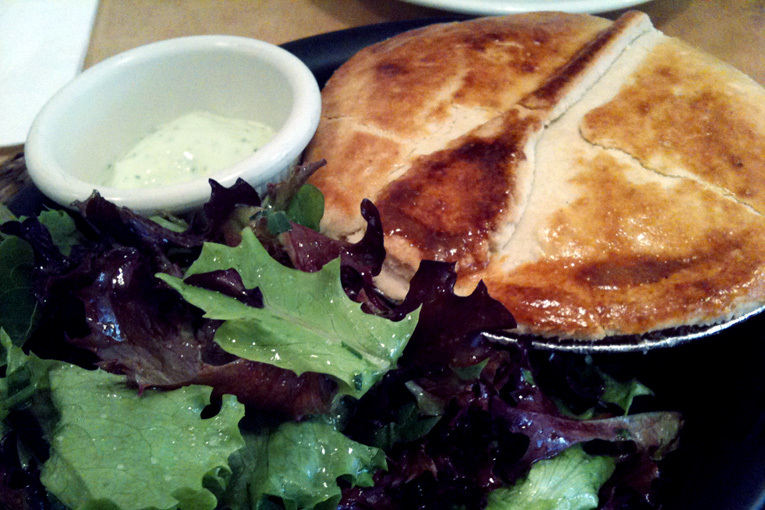 We checked out the menu, but truth-be-told, we came for a specific talked-about item: pot pie. Brazilian Pot Pie - came out hot with pockets of steam escaping the flaky topping with every new bite; it was definitely worth the stop. The crust was delicately soft and flaky, with a hint of butter. The filling was gratuitously stuffed with chicken, corn, roasted potatoes, olives, and hearts of palm. All was folded into a sauce that was phenomenal in its own right: steamy, creamy and providing balance to the other ingredients. The dish was served with a side of a garlic dipping sauce and greens tossed in a vinaigrette. There was no real need for a beverage, as the mango, orange, or cinnamon water was a fun twist on refreshing.